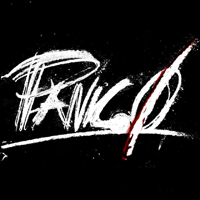 Panic.0 raises in 2008, plays around and records a couple of demo tapes. Then decides to write a full length album, and to do it takes all the time necessary, well.. maybe even a bit more. We won't keep bothering you with the same old story about four guys with completely different tempers and tastes in music who manage to blend them all resulting in a unique yet great style. We won't do it because you'll soon realize it by yourself. ______________________ Panic.0 cresce nel 2008, suona in giro e registra due demo. Decide poi di scrivere un album, e per farlo si prende tutto il tempo necessario, beh.. forse anche qualcosa in più. Non vi annoieremo con la solta storia di quattro tizi con caratteri e gusti musicali completamente diversi che riescono a miscelare il tutto in uno stile unico. Non lo faremo perche ve ne accorgerete presto da soli.